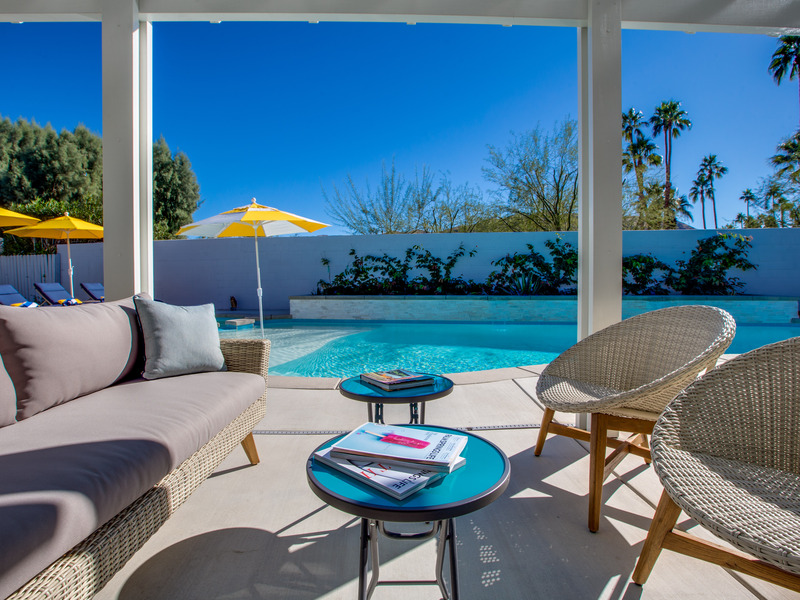 Everything about this property has been designed for relaxing in the sunshine. 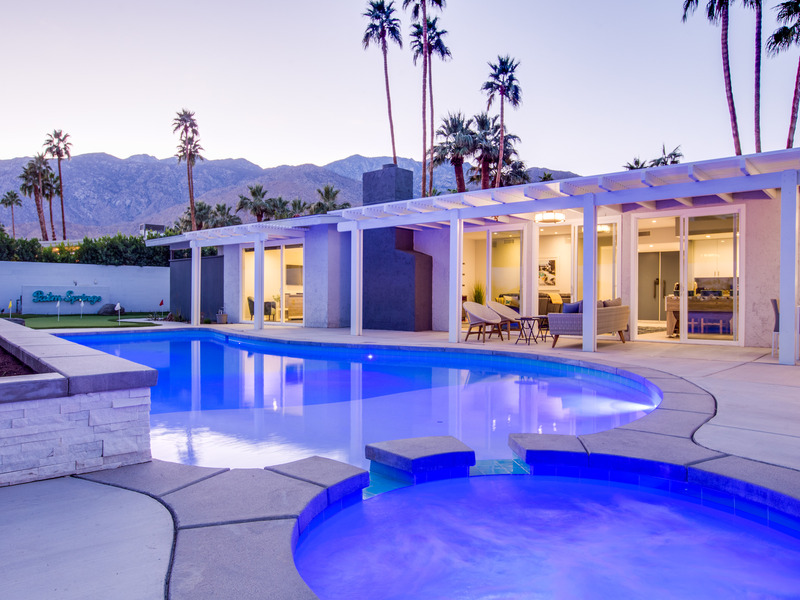 Gorgeous architecture that blurs the lines between indoor and outdoor living. 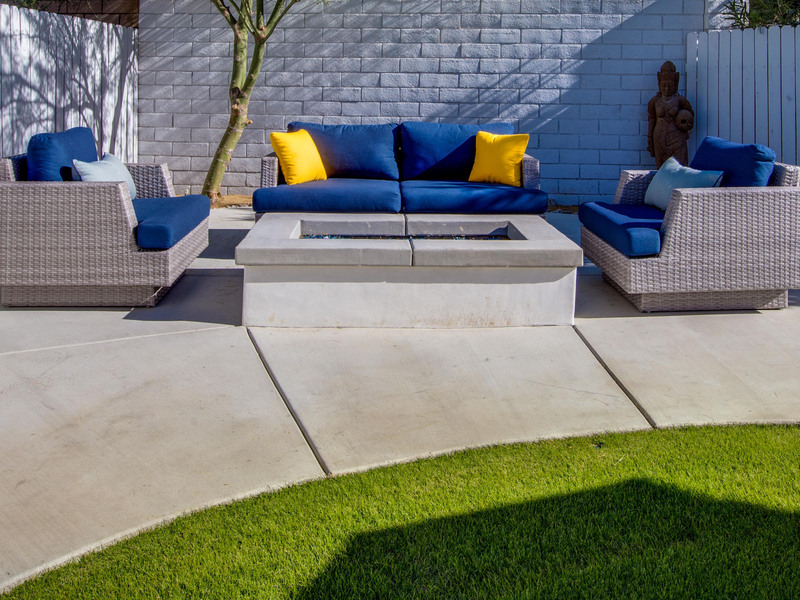 A very private resort-style yard with pool, spa, tanning deck, putting green, bocce ball, fire feature lounge area, outdoor dining pavilion, deluxe built-in barbecue station and spectacular mountain views. 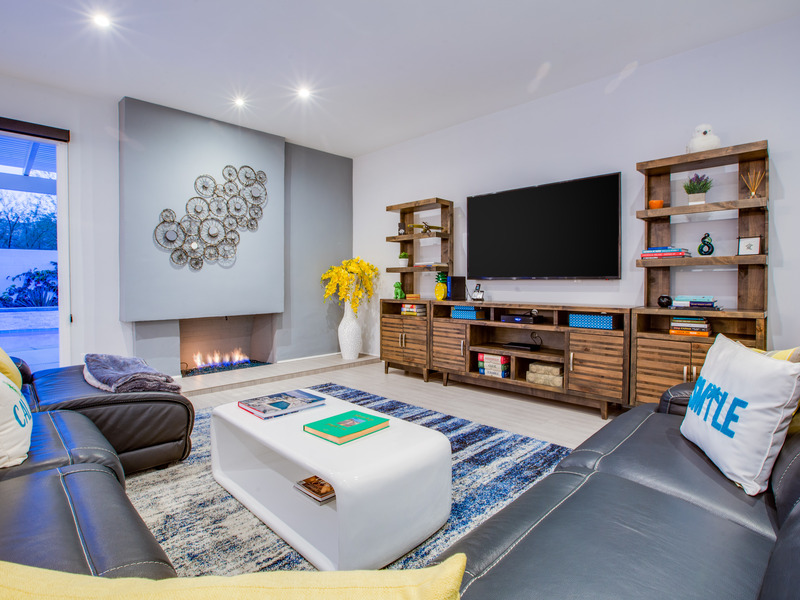 Inside you'll find comfortable stylish furnishings, 4 flat screen televisions, a wet bar, fooseball, a retro chic Video Arcade Machine featuring the Pac-Man Suite of Games. There is even a gumball machine. 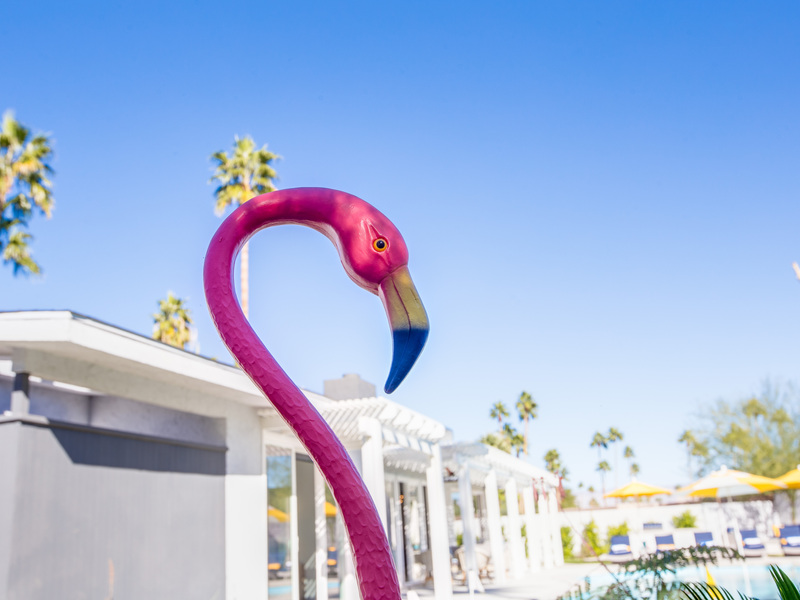 The owners have thought of everything - making Funtopia in the Canyons - the perfect place for families, small groups and anyone who wants the true Palm Springs experience. 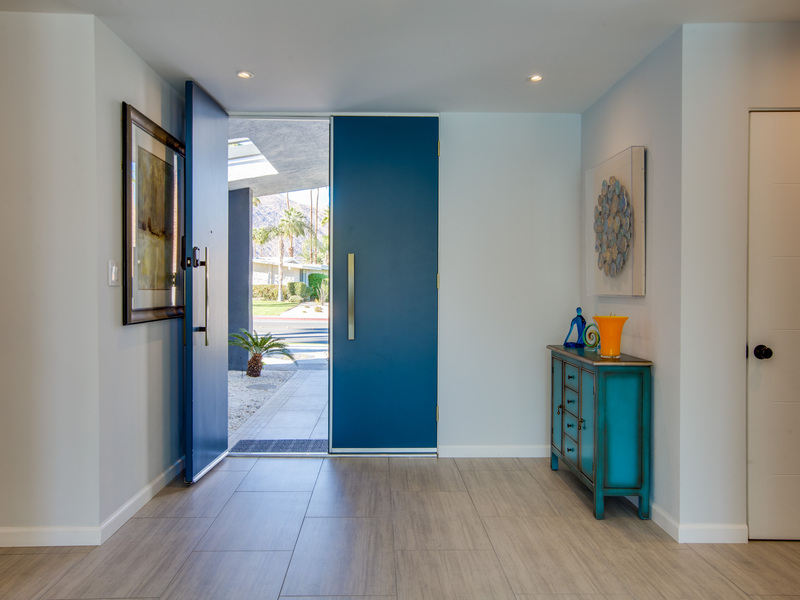 Upon walking through the impressive double door entrance, you'll know you have arrived in paradise. From the entry foyer - you look across the sprawling great room - through walls of glass that open up to the country club pool yard. The great room has plenty of comfortable lounge seating, a fireplace, a large flat screen TV, a wet bar and game area. 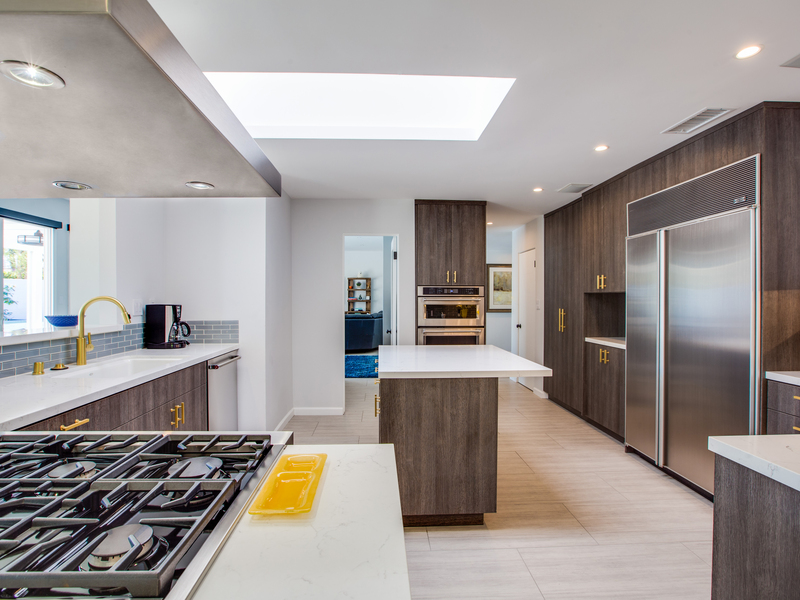 The adjacent interior dining room and kitchen are huge - perfectly space-planned for individual and group meal prep. This open concept layout is perfect for multi-generational vacations - enough room for the entire group to spread out or hang together. There are also spaces for stealing some alone time to curl up with a good book or take a restorative nap. 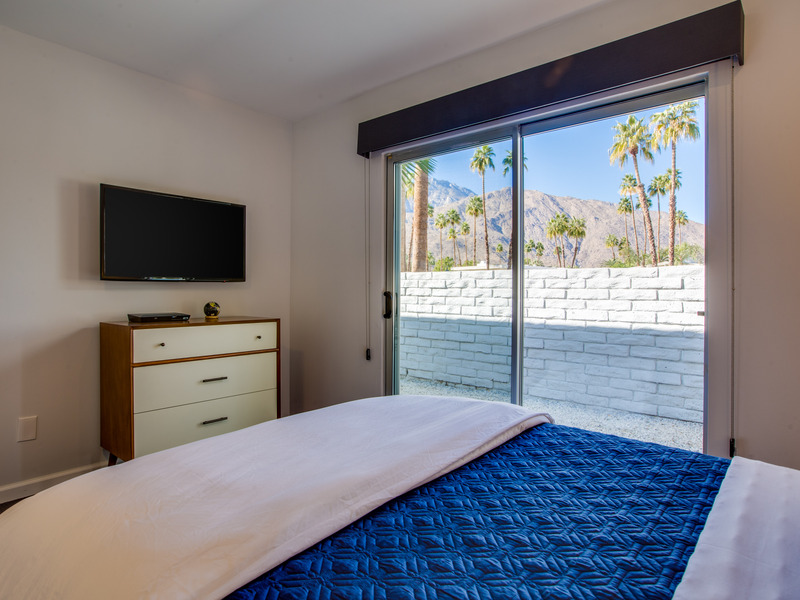 The bedrooms all feature hotel-quality mattresses, ample closet space, and flat screen TVs. 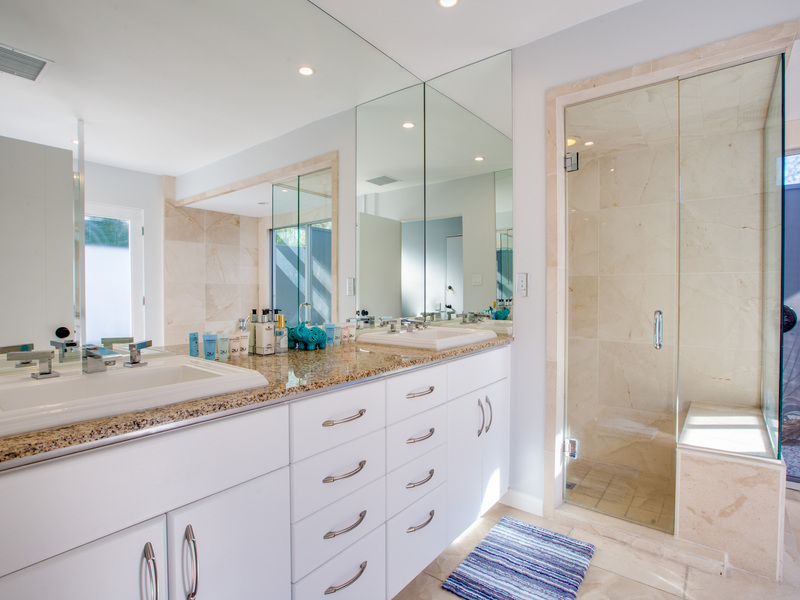 The King master has a deluxe walk-in closet, an ensuite bath and direct pool access. 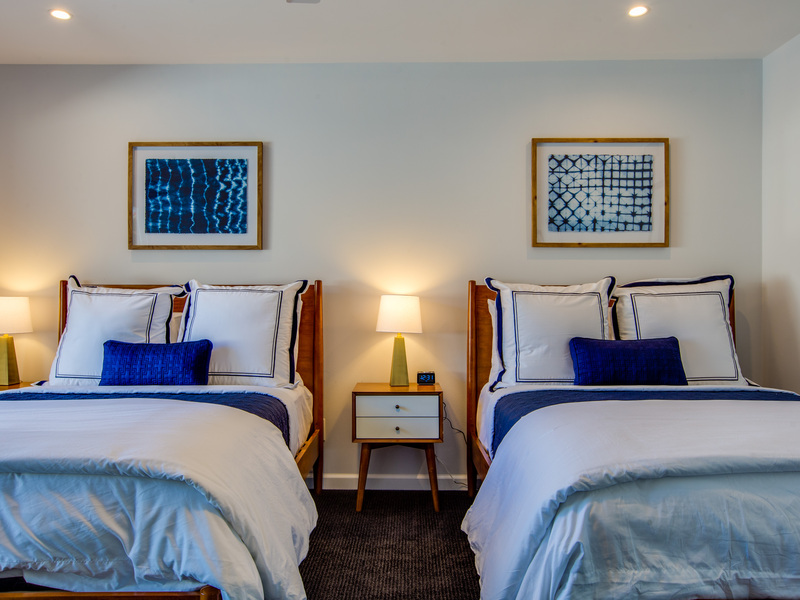 There is also a King Guest Room and a third Guest Room with two Full-sized beds. 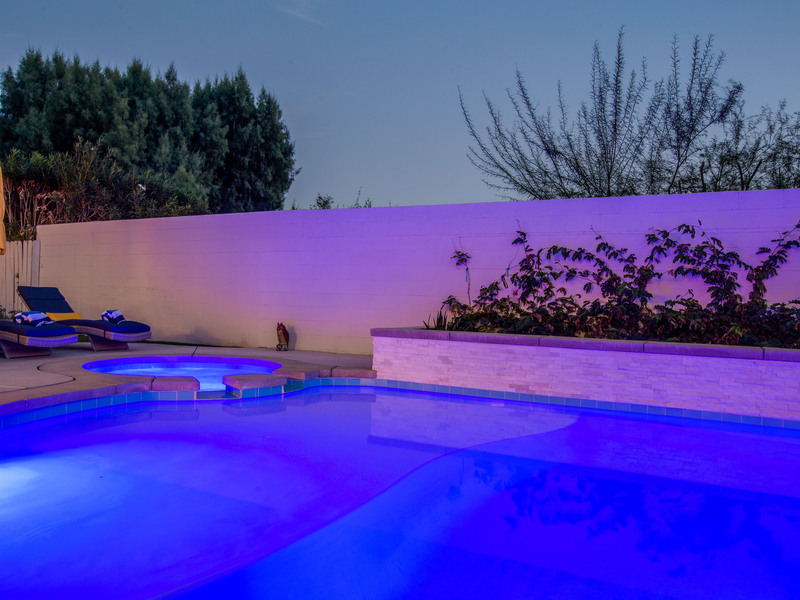 As beautiful as the interiors of this home are, it is the pool yard that elevates Funtopia in the Canyons to Executive Status. 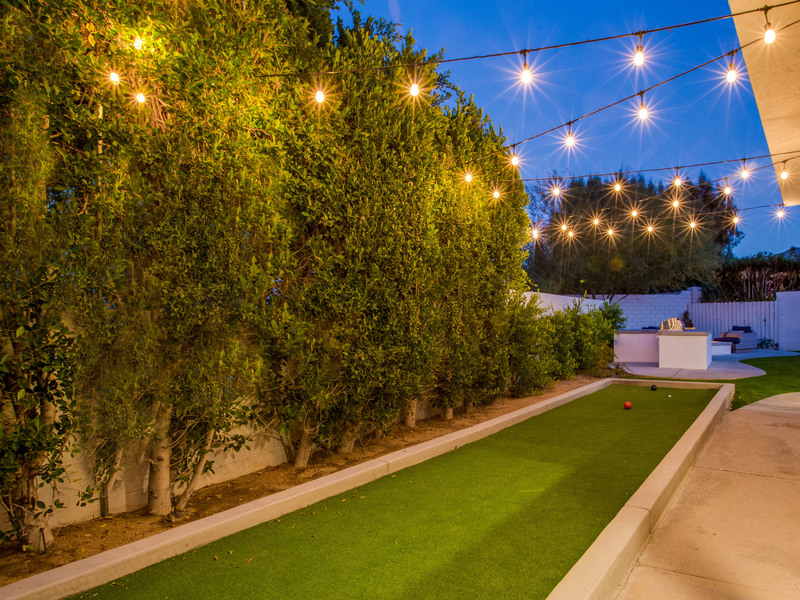 Completely walled for privacy, the back yard captures the glamour of Southern California living. 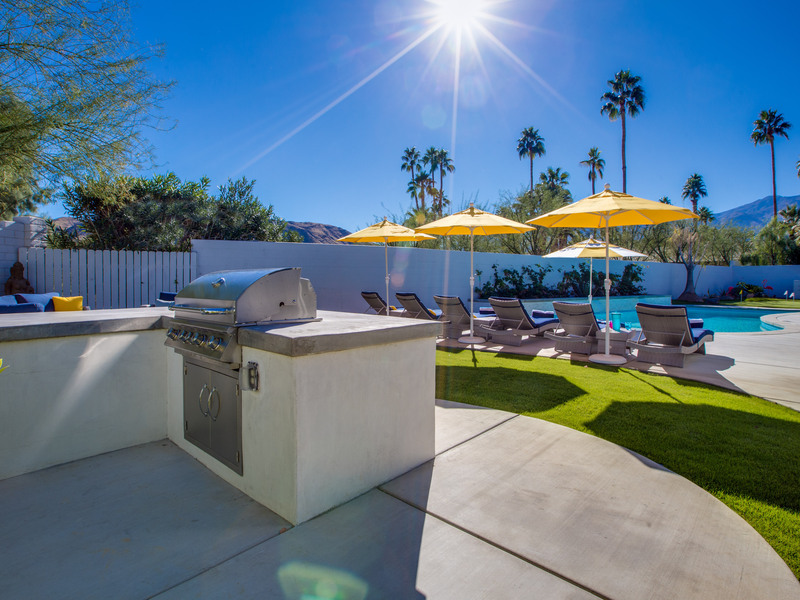 Stunning views of the San Jacinto Mountains, a sundrenched pool with waterfalls, an integrated spa and a tanning shelf that doubles as the perfect in-water play area for little ones. 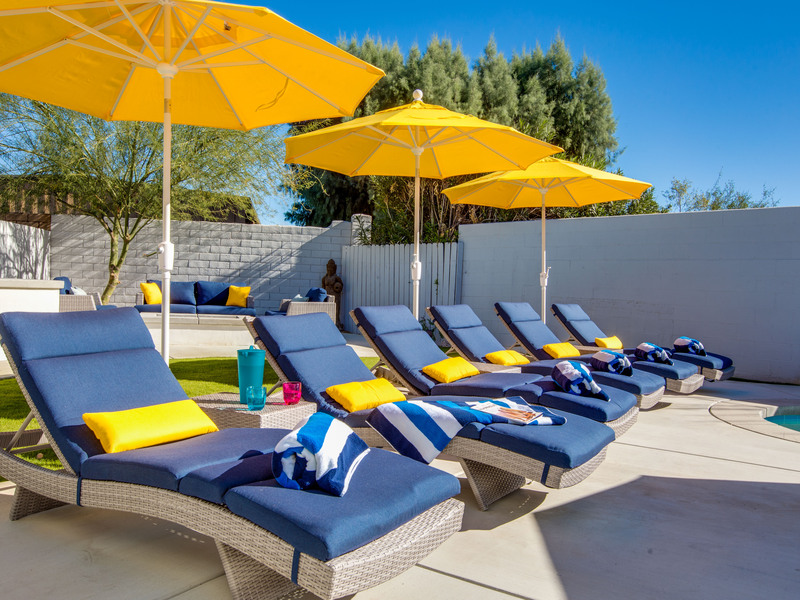 The pool is surrounded by chaise lounges and patio umbrellas. 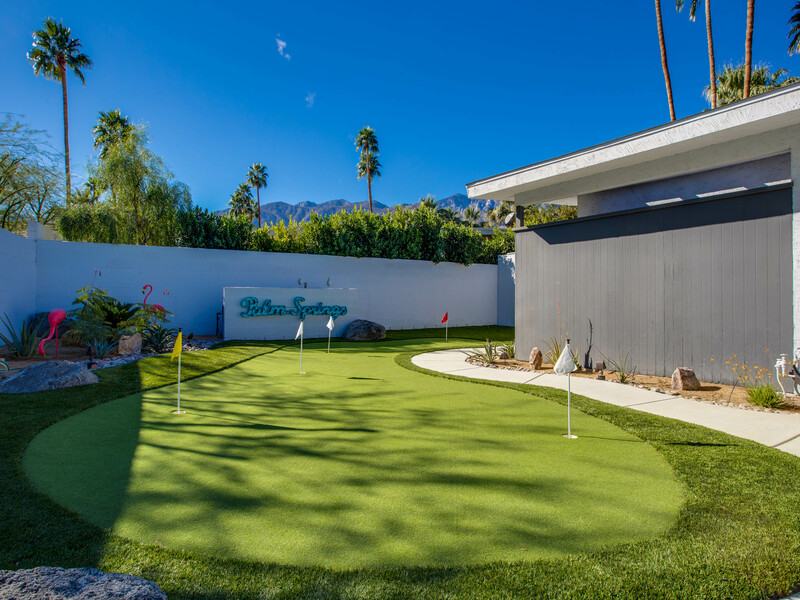 Funtopia in the Canyons has a long list of recreational upgrades including a bocce ball court, a putting green, a shaded dining pavilion, an outdoor living room, and a fire pit lounge area that is perfect for cool desert evenings under the stars. 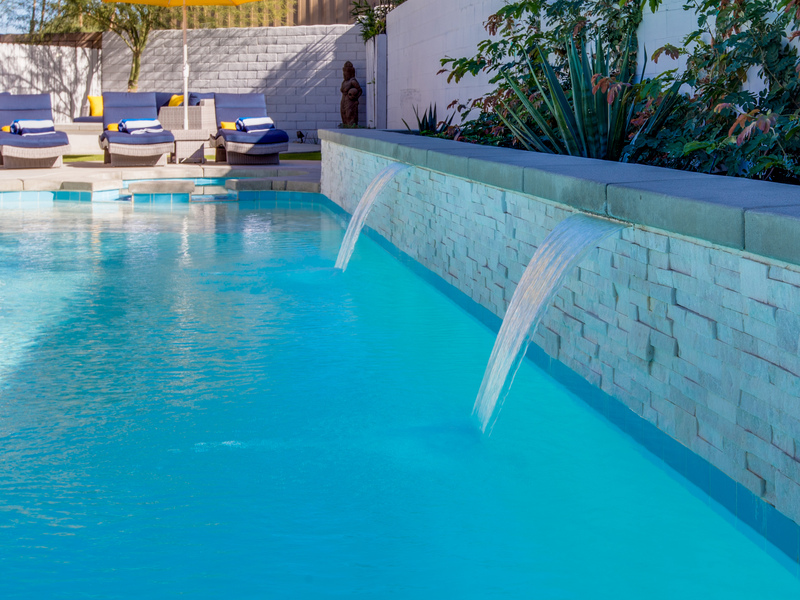 Funtopia in the Canyons is perfectly located for those who want to be in the middle of it all - but still want their pool yard to be quiet and private. 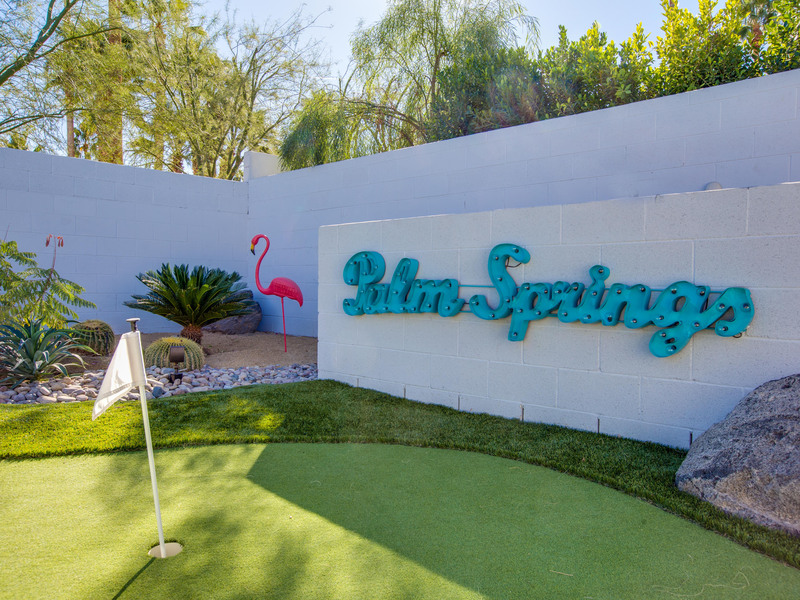 The home is located on an oversized lot in South Palm Springs where the Twin Palms neighborhood meets the Indian Canyons - less than a mile from the Indian Canyons Golf Resort, a 36-hole course set on 550 acres of Native American land. This part of town was made for walking and bike riding. 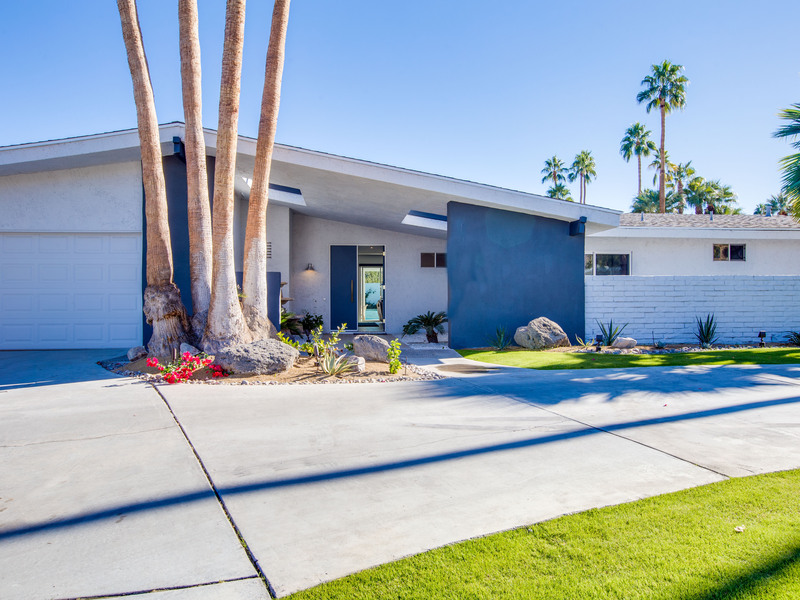 Wide, flat picturesque streets are lined with towering Palm Trees and gorgeous estate homes. 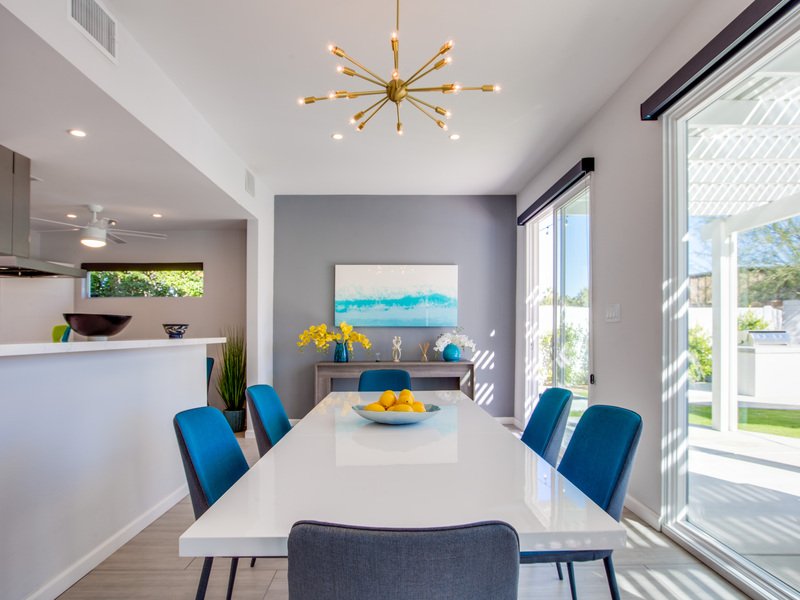 You will be close to hiking trails, restaurants, coffee houses, entertainment venues and neighborhood conveniences like grocery stores, sandwich shops, and burger joints. "The house is amazing and entertaining! Everyone had a wonderful time doing their own thing and gathering at all the right times and places. Thank you for the memories!!" 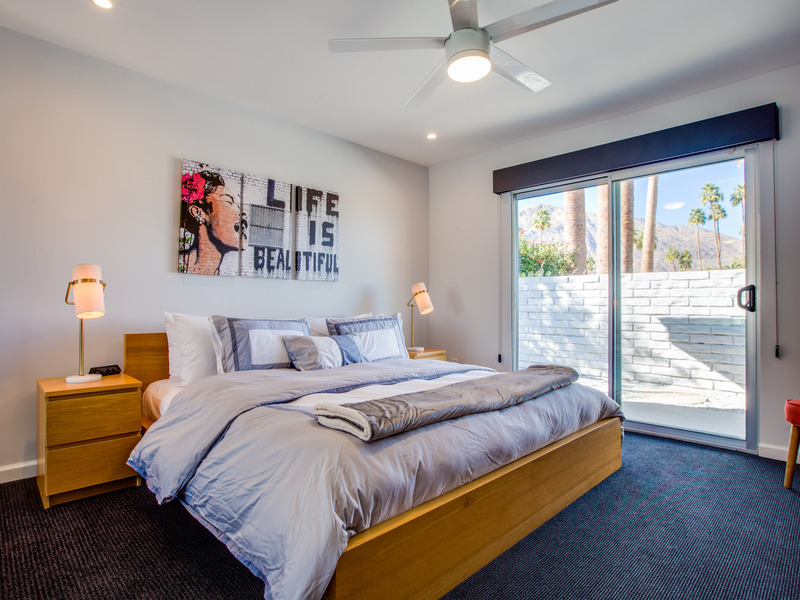 "After many years of vacations in Palm Springs and enjoying many excellent rental homes, Funtopia has rated the best within our family. 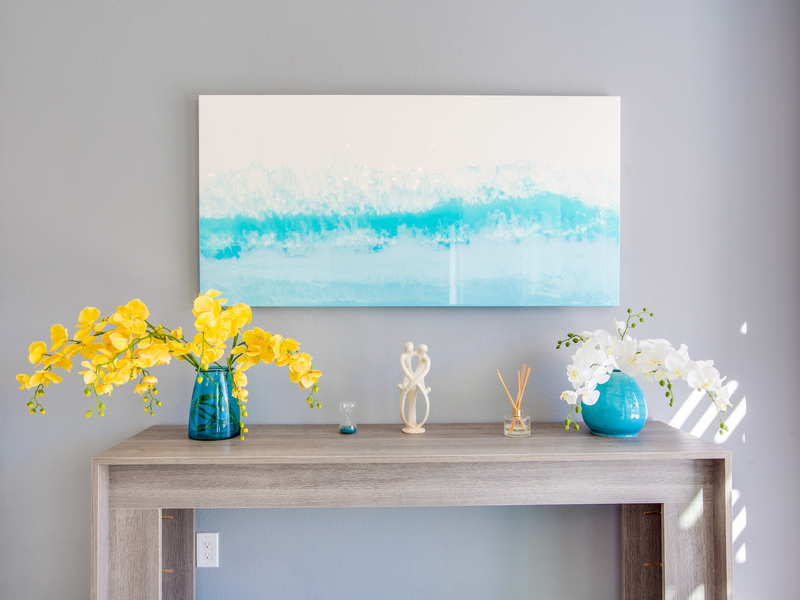 In every aspect of our stay we felt this home had everything. 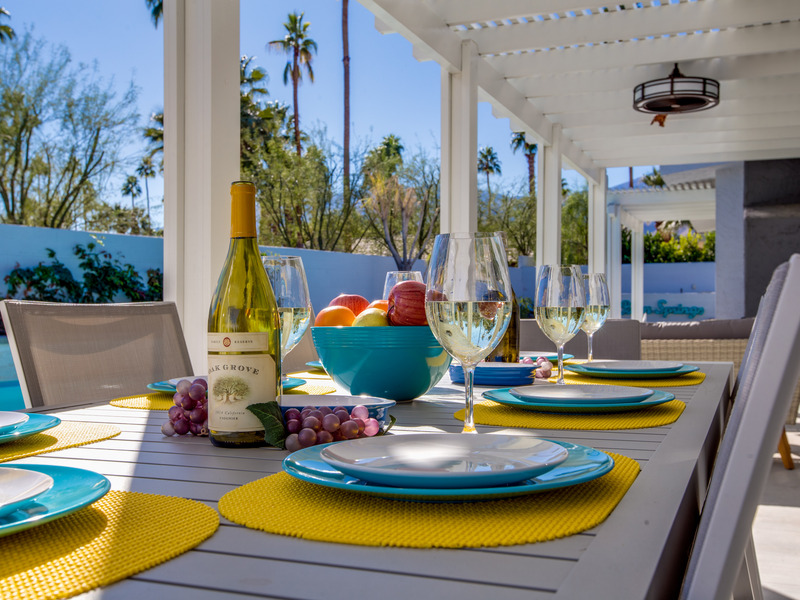 Location - perfect for Palm Springs or Rancho Mirage. Bars and restaurants within walking distance, as well as supermarkets and other shops. The pool is outstanding, brilliant size and exceedingly clean. Entertainment is amazing; mini golf, boules, great TV’s, media, WiFI - everything thought of. The BBQ needs a light by it but it was in excellent condition. The fire pit was ace as were the sun beds (the best ever). Kitchen was awesome with all of the things you need to be self sufficient. My only issue - I want to be able to book Funtopia again so hope this superb home is available when the time comes." "A beautiful home. 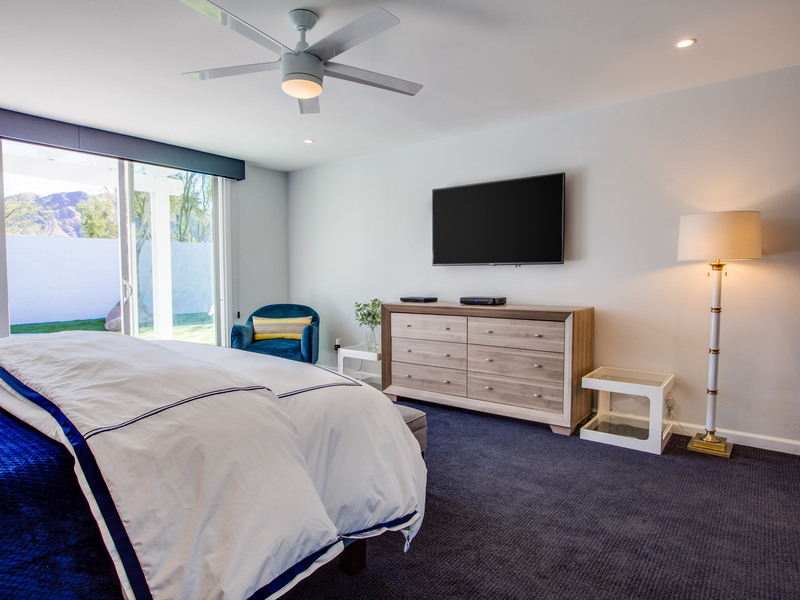 Comfortable beds and furniture. Perfect pool and hot tub and firepit"
"This is a great home....that has a lot to offer. 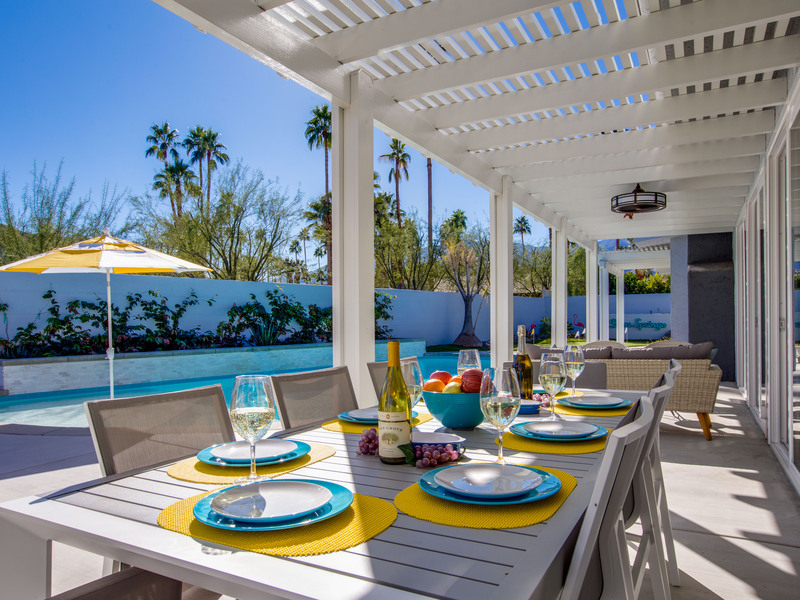 Between the pool, games, large seating areas, beautiful kitchen....there's something for everyone. Plus, the restaurants and shops are nearby, if that suits you. We had a great time, and loved the home and the location. We hope to get back to Funtopia very soon! " "Excellent property. All the amenities and then some! Beautiful pool and back yard. Completely stocked kitchen. I've rented homes throughout the years from other management companies and I have to say that ACME is definitely the most professional. Couldn't ask for anything better!" " This place is 5 star. It’s ultra comfortable and very well appointed. They have all the toys! 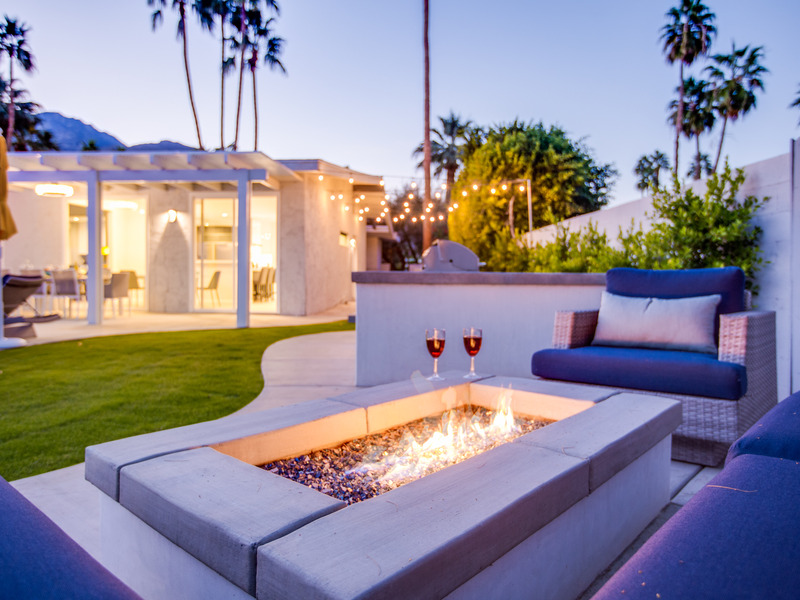 It’s a great home for families and couples who want a luxurious getaway. It’s a quick walk to a grocery store, Italian restaurant and a good burger place. We had a great time with plenty of space to cook, grill, hang out but also get some alone time. We will be back!" Funtopia lives up to it's name! 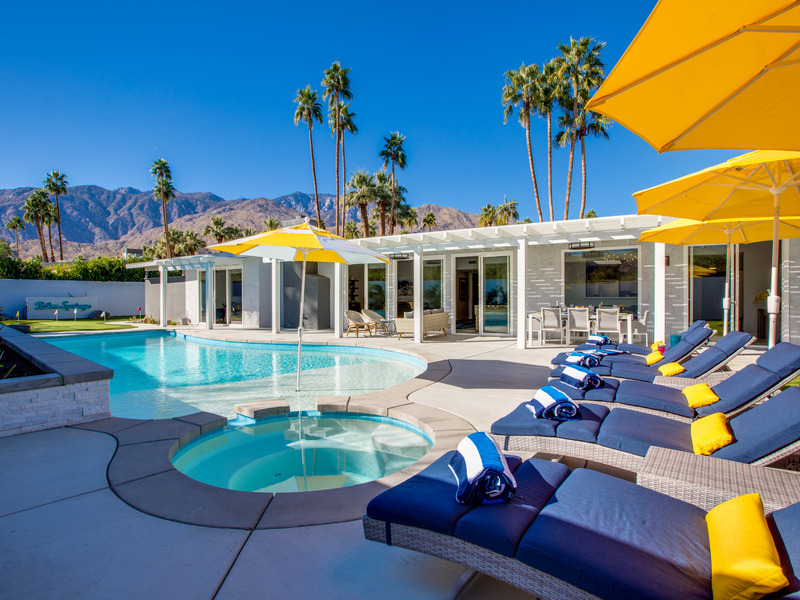 "Beautiful home close to downtown Palm Springs. Kitchen complete with everything you could possibly need. Towels, linens - everything was perfect. 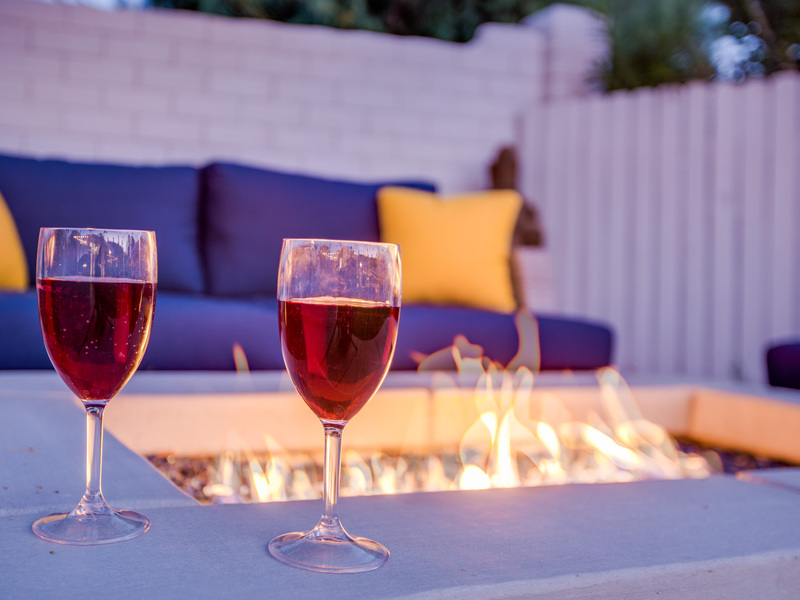 Best of all - the backyard is like your own private resort. We can't wait to stay here again!" "This place is absolutely AMAZING. There is something for everyone whether you just want to chill out in one of the plush seating areas or enjoy one of the many games provided both inside and out. 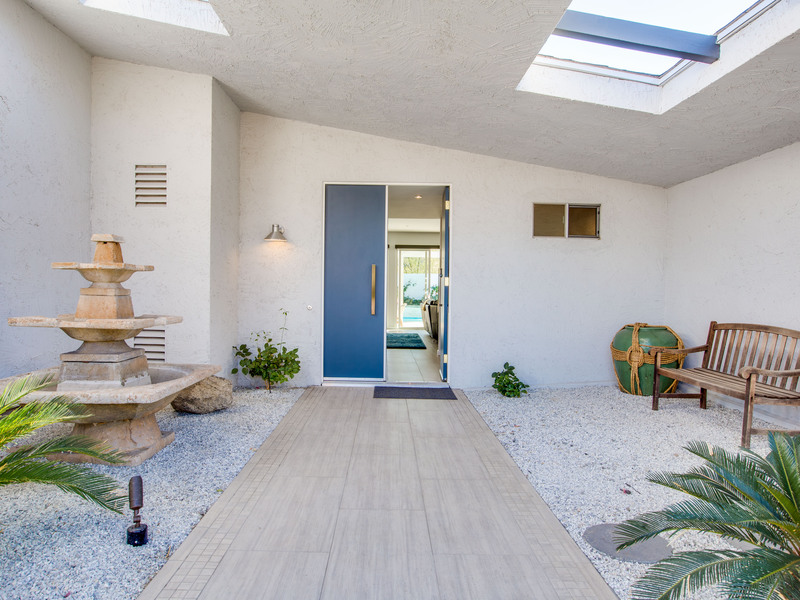 Everything in this perfect home has been carefully thought through. The non slip shaded area in the pool was the perfect place for my grandson to slash around happily whilst the hot tub was an indulgence for the adults. 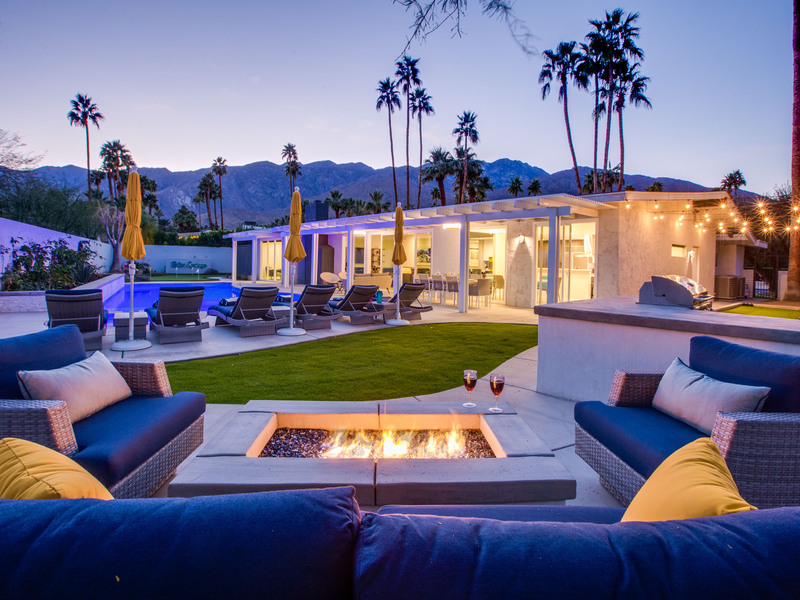 Subtle outside lighting created each area with its own special ambience in the evenings and the fire pit and bbq area was especially relaxing. 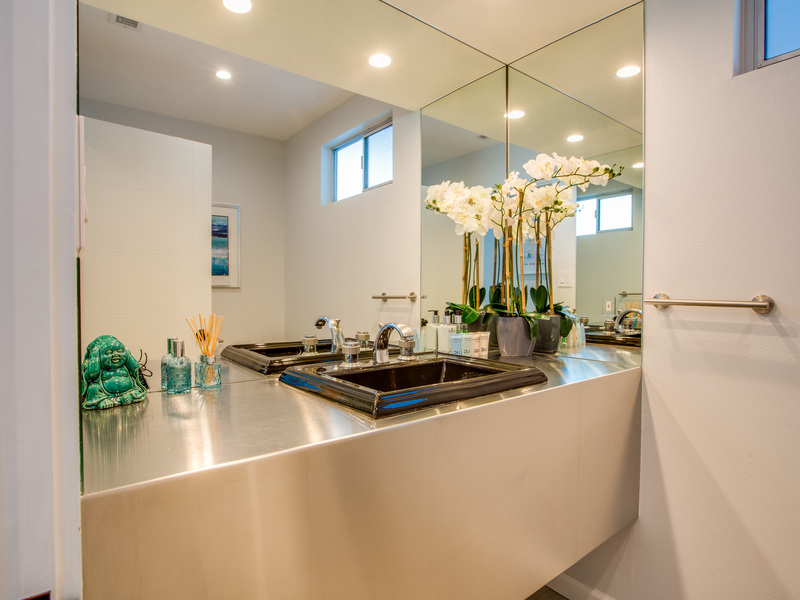 The wash rooms toiletries had even been placed on either side of the sink, a small thing I know but just goes to show how much care has gone into this beautiful home. There are great places to eat and a supermarket within walking distance just around the corner. Regular free transport into the town itself is also nearby not that you will ever want to leave once you walk through the front door. Returning in September. Can't wait." "This house is amazing. Surprisingly the pictures do not do it justice. 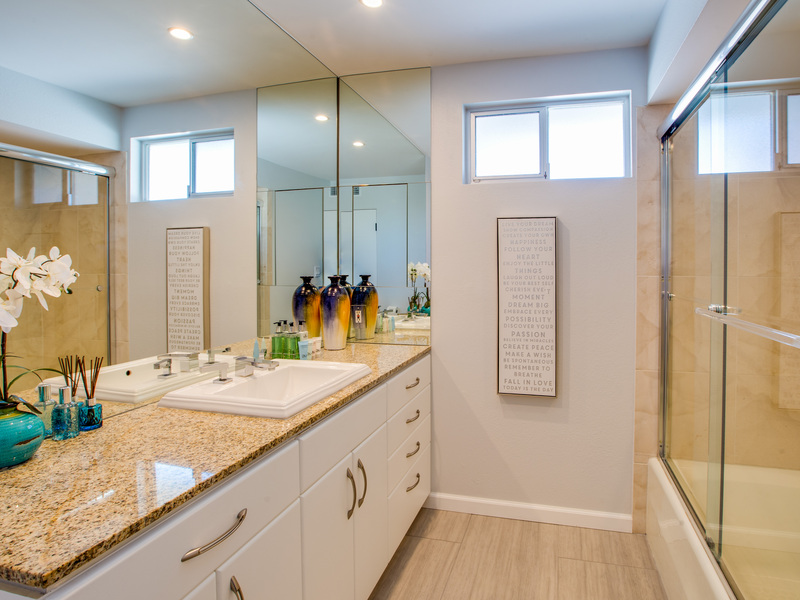 There is a very nice master bath with a sunken tub. All the appliances are brand new, not even sure all of them had been used yet. The kitchen has everything you could need for entertaining as well as a well appointed bar. And the pool, the pool is fantastic. Salt water, very minimal chlorine and the company had it cleaned twice while we were there. Acme House Company provided the best customer service that I have ever experienced in a rental company. We needed more hangers, they were there in twenty minutes. 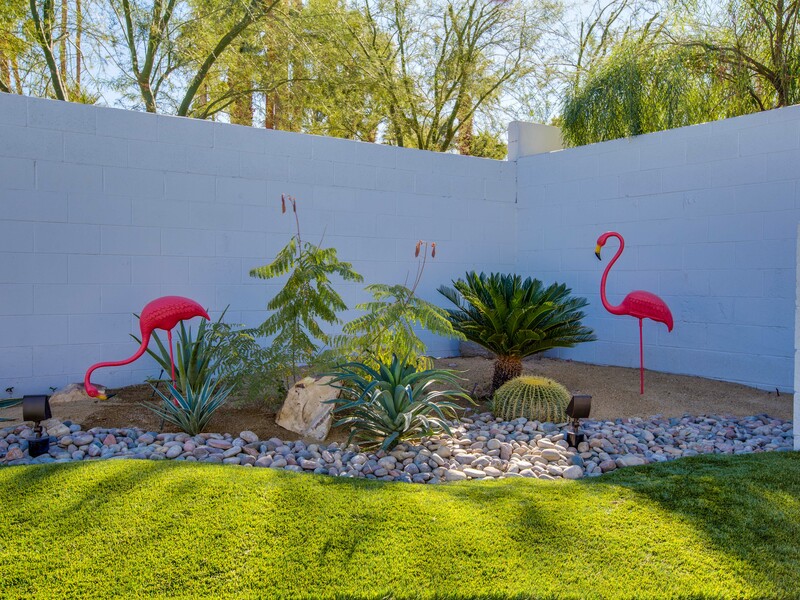 We didn't know how to turn on the Palm Spring Light in the back yard, they were there in twenty minutes. When you call them they answer using your name, no explaining who and where you are. They are not rude or put out, their demeanor was professional but also happy when they interacted with us. The house was spotless upon arrival, inside and out. 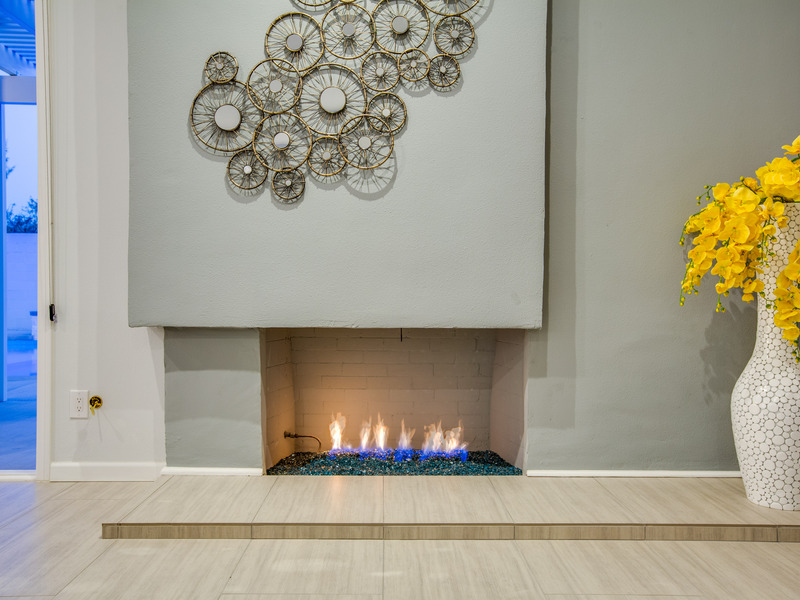 I would be happy to rent from Acme again, it was a great experience." "Perfect house, great location. Amazing views, comfortable, fun home with awesome pool, close to shopping and food. Will rent again FOR SURE."